Original works of poetry, music, and thoughtful writing inspired by the wonder of this living, breathing, absolutely stunning universe we inhabit. Homophobia is fear of one’s own innate feelings. A fear that gets nurtured by a culture that fears nonconformity and otherness. It is is a mental illness. “Fear is the mind-killer” Frank Herbert said. for all this talk about haters and hate crimes. Hate is a just form of fear. It’s the fear we must expose. Fear is an instinct given to us for knowing when there is clear and present danger. Like when a lion is stalking us. What is really lurking in the jungle, if anything? Who told you it was? Are you relying on your own senses? is the selling of fear. It’s a highly successful marketing strategy. Sell fear. Sell guns. Sell the armed militant fix. are churning out their boy toys at quite a profit. For who else would want to be well armed but those who are most afraid? We have armed an army of fearful people, the number of which grows every day. It’s no longer a question of whether that is right or appropriate. It is simply a reality. but the horse is long gone, way on up the road. Keep your frickin’ guns; turn in your fears. Fear of guns. Fear of not having guns. Fear of not making a profit. Fear of losing of my piece of the pie. Fear of nature. Fear of losing nature. Fear of our own true nature. Fear of our true feelings of love. Think about that: Fear of love. when no one feels threatened. that speaks to us only of what is. How sharp are our senses? That is at the crux of it. and believing we should be more afraid of bad teeth. even in the face of clear and present danger. “They” sell it. We buy it, and sell it to each other. We give it away for free. Here, have some fear, I’ve got extra. “Like” my fear on Facebook. Fear is a product that comes with a very high price. It’s not organic. It’s not Fair Trade. It’s not sustainable. I know something about God. until, and because, we met. though we would not have called it that. Books of What God Is. one of many that fill the Book of What God Is. knowing that we’re learning still more of what God is. the pages she’d tucked away and forgotten. and all of them sing themselves back to her. for things she didn’t know needed weeping. from her face to the earth. has a new page for their Book of What God Is. multiple versions of this one multifaceted moment of God. making One glorious infinite Story. Click here to download the audio for free. Words and Music by Purple Hazel Green. Share freely and with love . This audio piece and video was inspired by the following words. Find the video on my YouTube Channel It’s three and a half minutes of pure pleasure…. Hope you will enjoy it repeatedly. Aine (pronounced Ana) is the Celtic Goddess of Love, Fertility and Sovereignty. . .
and in the dance we are but one. I drank her in like sweet warm milk. She said, “One question takes a life to answer. She said, “We both sing the River’s song. Because sunlight cannot be mechanically or chemically transferred to plants, the actual mechanics of photosynthesis has alluded the deconstructionists of science for ages. So, bless them, they developed a tool to measure wavelengths as short as a femtosecond, which is one quadrillionth of a second. This led them to the discovery that photosynthesis happens in the realm of quantum mechanics. We can learn a something from this in terms our our relationships with all energies in our environments – people and otherwise – and how we, too, can serve life by being coherent sources of light. By entraining, or synchronizing, one’s “vibe” with another being, which is a matter of “listening” with one’s whole being — what can happen is not just the sum of its parts, it’s not even “more than the sum of its parts”, it is a QUANTUM LEAP into the mind of infinite possibility where something completely new can happen. We are also beginning to understand that is how we learn – not from mental memorization of information from another source, but by a quantum transmission of information that happens when there is an excitation of energy – say, in the course of a passionate discussion. We literally “learn” from another’s genius by being in the presence of that energy. What is actually happening is that we are tapping into that same source from which genius arises. This may very well be what Jesus meant when he said, Wherever two or more are gathered in my name there I am in the midst of them. … I am being infinite possibility. that caught my attention. A thought arose: Beautiful Gingko. It’s September already, nearly Equinox. what happened to the Gingko tree in those femtoseconds? in that moment of quantum excitation? Did the xylem and phloem start to flow more quickly? Did the photosynthetic process speed up? My best educated guess would be, YES. What does it mean to be “realized”? It means we notice more of them, that’s all. is all it takes for something new and profound to emerge. sing it, dance in it, do surrender to it. until some latent possibility is released. in less time than it takes to blink. like romance out of lovers when the violinist lingers at their table. Who is doing the singing? Shortly after writing this poem I read an article by biochemist and genetic scientist, Dr. Mae Wan Ho, whose theory of organism is breaking ground through the hallowed no-persons’-land between the physical and life sciences. 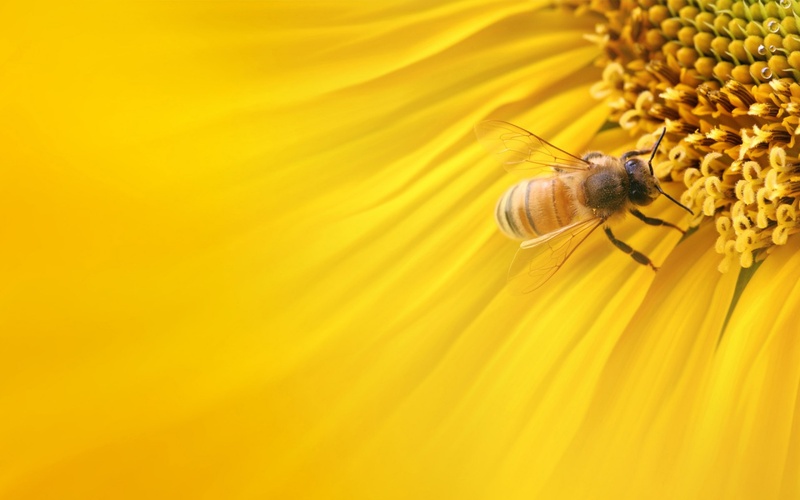 In the article, entitled “In Search of the Sublime”, Dr. Ho explores this same energy of living exchange between organisms. Dr. Ho says: The creation of significant form is the basis of knowledge, possibly for all living species; it holds the key to aesthetic experience in science and art, and depends on the inextricable entanglement of all beings in nature. So, I sent my Femtoseconds poem in an email to Mae Wan Ho and she kindly responded as well as published it in the letters of the next issue of the I-SIS online journal…. Because I wanted to bring Mae Wan’s ideas to my friends in a digestible form and have a little fun with it, I created one of my “wisdom jams” – sampling her talk “Quantum Jazz” which was delivered at the Bioneers Conference in 2008. The Bioneers is an annual meeting of the world’s greatest (in my opinion) progressive thinkers, scientists, elders and social leaders, and it happens every October right here in northern California. This is my jam called “Organism,” and it has received Dr. Ho’s blessing as a “labor of love” which indeed it is. You can listen to other wisdom jams and all my music by clicking here. We can go a long way in serving life simply by paying attention to, and taking responsibility for, the energy that we bring to our environments with our thoughts and feelings. Each of us are coherent sources of light; the human heart is a coherent light source. We feel it, we sense it, some people say it happens as we get older…. but is time acceleration a real phenomenon? Can time truly accelerate? 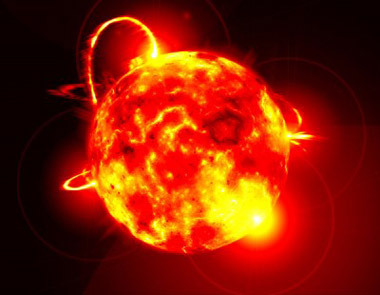 If time is accelerating, does it mean that the earth is moving around the sun faster? Will there be fewer than 24 hours in a day? Nature is full of eloquent lessons for us,, and one of my favorites is one that Spider taught me about time and space, in terms of qualities, not quantities. The music of time-space, which indeed defines its measurement. Spider creates the foundations of her web by spinning lines that are attached to things in her surroundings – a rose bush branch, a fence post – all converging on a center she has already perceived. These foundational ‘spokes’ define the space and character of the web as a whole. Each of the spokes has its own character in terms of length and what it is influencing its movement. As Spider is weaving these spokes, she leaves a sticky substance along the filament. When she gets to the end of the line, she plucks it, causing it to vibrate. It has its own tone, just like a guitar string. Pythagoras was one mathematician/musician in a lineage of ancients who understood that when a string is plucked, there are intervals along the string that do not vibrate. That is what gives the string’s sound its tonal character. These harmonic intervals are so called because they are created by the overtones or natural harmonies that the string is producing. These natural harmonic overtone intervals have a mathematical relationship to the string, so no matter what the tone, the intervals are proportional the length string. When Spider plucks the string, that sticky substance vibrates and collects in the intervals where the string is not vibrating. She knows that each string has its own ‘scale’ and she is going to make use of it to build her web. In terms of the metaphor for our galaxy, which I believe is a fractal of our universe, Spider has now set the music in motion, she has set time in motion, and now she will create space. Spider goes back to the center of the spokes now and begins to weave a spiral out from the center by connecting the beads that are along the spokes of the web. She uses these beads as intersections. Around and around in a spiral until she reaches the outer parameters of her spokes – the final beads or ‘notes’ if you will. There is no more perfect metaphor for the nature of the fabric of timespace than that, and it is no wonder that Spider Woman, the Great Weaver, is the Creatrix in our mythopoeic imaginations. So what can this teach us about acceleration? 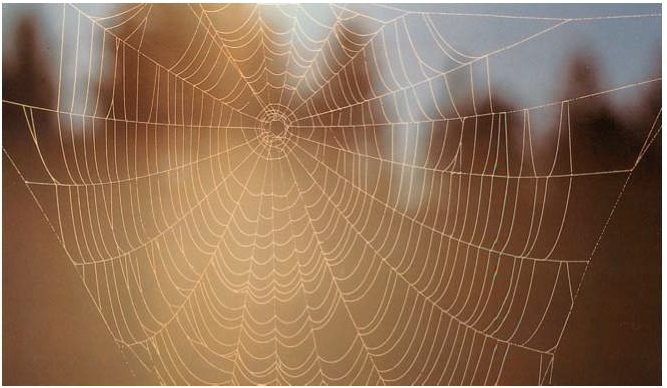 Let’s take an imaginary trip on Spider’s Web from that outside point she left off from. Let’s say we are a little microorganism that was born on that sticky bead and we go for a walk, a quest, to discover our place in this big web that looks like it started from a singularity…. We start walking along that spiral until we get to the next bead, or intersection. It definitely feels different from the last intersection – and that’s because the nature of the spoke is different – a whole different tone or quality of experience. Then we move on to the next bead, and we notice the same thing – it’s a completely different experience than the last two….We move along then, and it seems like we are experiencing time in a line… there is something in front of us that looks like our future and something behind us that feels like our past. It takes a certain amount of time to reach the next bead and we are starting to get used to that timing now that we are almost all the way around. Then eventually we get to a bead that is back on that first spoke we started from. It’s not the same exact place, because it’s closer to the center, but since we think we are walking in a straight line, and are not aware that this line is a spiral, we don’t know we are standing on that same spoke, However, something about it feels familiar…. there is a quality about it that our body senses, because our body is receiving the vibration of that string directly…. We move on to the next spoke, and the next, and each time now we are getting a kind of “deja vu’, but it’s still a long time between beads, so we can’t really put our fingers on it. We go around and around the spiral in this way for several cycles, until we begin to notice a couple of things: One is that it is taking less and less time to get to the next bead than it used to, even though we are walking at the same speed. We are also starting to notice that there is a patterns to these “old familiar feelings” we get when we reach one spoke and then another.- to the point where we can almost anticipate what the next one will be. This is what happens when we get closer to the center, when the spiral starts to tighten up. We start to sync up. 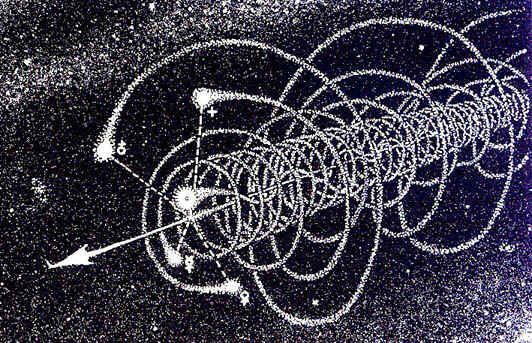 By now we may even discover that we are walking in a spiral and not a line. We start to remember what this song is about, this energy – what opportunities it makes available, or what things to watch out for… So although things may appear one way, it is always important to feel what song the moment is singing to have a full understanding of where we are, to feel the resonance. The Ancient Time Keepers – the Maya, who left us a calendar etched in stone, and the pre-Han Chinese system of the I Ching, as just two examples – were tracking time based not on sun and moon alone, but on the waves of Galactic Time – waves of energy that pulses from the center of the Milky Way which are the heart-beat, the time-keeper for every star in the galaxy. These pulses are the spokes of the spider’s web, the time signature of the unfolding music of life in this galaxy. 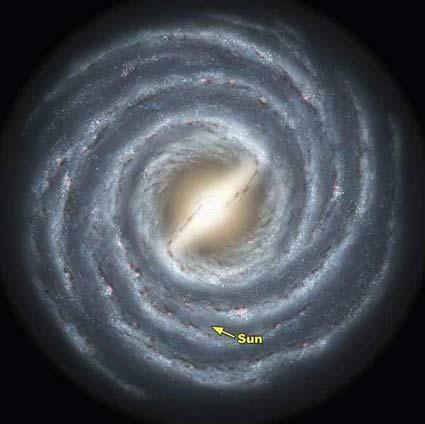 The Milky Way Galaxy is a spiral. All life forms on earth unfurl in spirals in the dance of this time. Time for us is a spiral. By deduction, then, I imagine that each galaxy has its own timing, it’s own symphony, and that this is a fractal pattern that reveals the universe itself. The Uni-Verse – the One Song…. This is the unfolding of time in our universe. We are getting very close to the center of the spiral now. We are feeling the resonances with what has gone before, and we are beginning to understand, to master, Time…. And once we do, we will no longer need linear time. Training wheels off. The joy ride of Multidimensional Time is awaiting us…. What Time Are We Tracking? What calendar and time-keeping do you live by? What cycles and rhythms does it mark and celebrate? For millenia of human history, customs, rituals, and celebrations have marked important cosmic events tracked by various forms of calendars and time keeping methods. The primary referent of the system – the sun, the moon, or astronomical events – tells us much about the values, needs, and cosmology of the culture who sets up and follows that system. Many societies in the temperate latitudes on Earth are guided by the timing of the solstices and equinoxes that mark the high point of the four seasons, measuring the movements of the sun for agriculture and physical survival. Others still mark and celebrate the Quarter Days, which are the half-way points between the solstices and the equinoxes Quarter days mark the thresholds between seasons. For example, Feb 2, known in the Celtic tradition as Imbolc, comes half way between Winter Solstice and Spring Equinox, marking the time when the winter ground begins to thaw, seeds begin to swell and buds start to form. Quarter Days are not very well-recognized in the time-keeping system of industrialized culture, and this has caused a disconnect to the seasons. Our calendars tell us that the Winter Solstice, for example, is the first day of Winter, but the longest night marks the mid-point of Winter. 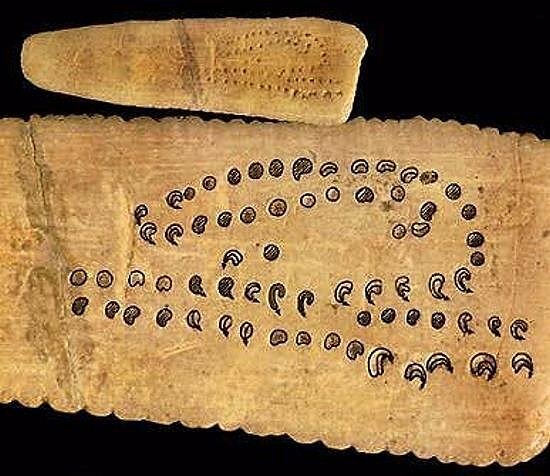 LUNAR CALENDARS: Artifacts from the Paleolithic period suggest that the moon was used to calculate time as early as 30,000 years ago. 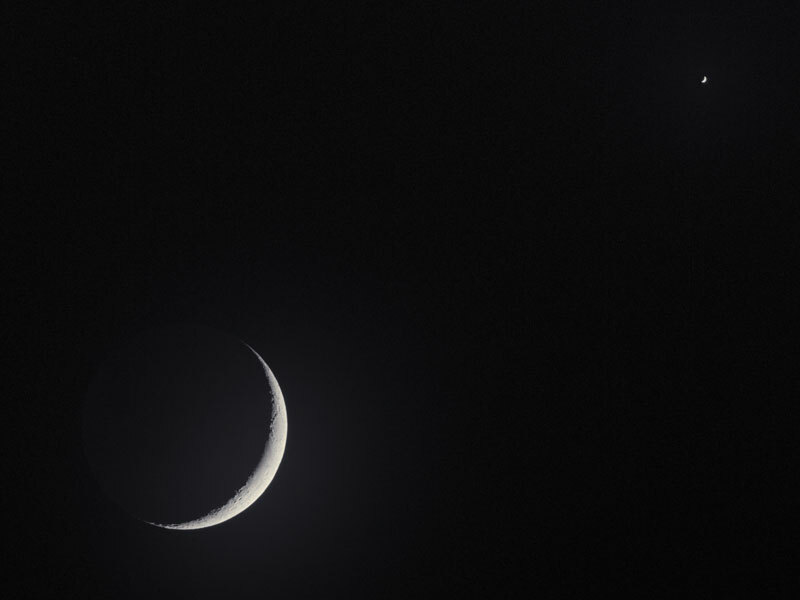 Tidal relationships, relationships to plant and animal fertility, to the woman’s body – her life cycles and her blood cycles – were recognized as being in sync with the cycles of the Moon. Without adding days or months to some years in a calendar based solely on twelve lunar months, however, seasons quickly drift. LUNISOLAR CALENDARS have a thirteenth month added to some years to make up for the difference between a full year (now known to be about 365.24 days) and a year of just twelve lunar months. The ROMAN CALENDAR went through many iterations and adjustments, It started off as Lunar and then shifted into Luni-solar as days were added to match the equinoxes. The reformed JULIAN CALENDAR began in 45 BCE by Julius Ceasar after consulting with an astronomer, and it approximated the ‘tropical year’ or solar year. The Julian calendar has a regular year of 365 days divided into 12 months with a leap day added to February every four years. The Julian year is, therefore, on average 365.25 days long, and is purely a solar referent. The modern GREGORIAN CALENDAR replaced the Julian calendar in the 16th Century because the time trackers of the day figured out that a solar year is actually about 11 minutes shorter than 365.25 days. These extra 11 minutes per year in the Julian calendar caused it to gain about three days every four centuries. In order to realign the calendar with the equinox times, several calendar days were dropped in one fell swoop. To maintain the adjustment, the Gregorian calendar drops three leap year days across every four centuries. The Julian calendar is still used in some obscure places and in some religious calendar systems, but the Gregorian is today the standard calendar of the “industrialized world”. Still other civilizations have other methods and traditions of time-keeping that transcend sun, moon, and planting seasons, such as the Mayan, the Egyptians, the Sumerians, and the Dogon of West Africa, who look to the rising and setting of certain stars and constellations – Orion, Sirius, the Pleiades – to mark the high points of the year. What were/are they tracking? What are their referents? and starry spirals of the night. on a journey into dreams. One of my favorite mental undertakings is discovering the origins of words. So it would only make sense for me to start the voyage of this ‘Cosmology blog’ unpacking the meaning and implications of this word, cosmology. Cosmo-logy is derived from the Greek kosmos, “universe” and logia, “study” – so, literally, cosmology is the study of the universe – All-That-Is, as we know it. So is cosmology a science? A philosophy? A mythology? It is all of those things. The cosmology of a people – a culture or civilization – is its story of origin. It is the origin and nature of reality as that culture understands it, experiences it and is shaped by it. One of my teachers, Dr. Larry Edwards, defined cosmology as “The principles of living derived from our story of origin.” African teacher Malidoma Some says that a cosmology is “The foundational model for life itself.” (Malidoma Some, The Healing Wisdom of Africa) The Big Bang theory is an example of a modern-day cosmology. The Old Testament Book of Genesis is a cosmology. The cosmology of a culture or civilization is embedded in its stories, myths, art. The story of origin is implied in a culture’s scientific pursuits, in their social structures, and in their religions and philosophies. The standards of business practice, economic practices, educational curricula, and religious beliefs pivot around the fulcrum of our story of origin. Our cosmology effects our everyday existence in every way imaginable. Some cosmologies are literally set in stone, written in books, or survive in an unbroken legacy of oral tradition. But cosmologies change, because new information is always presenting itself as the human story unfolds from generation to generation. Discoveries open up new channels of thought, new evidence for us to ponder. The story changes, and as it does, culture changes. Old structures break down, new ones arise that reflect the new experience. Sometimes the information serves to validate and reaffirm what has been known and passed down through the ages; and sometimes it serves to remind us of what has been forgotten…. 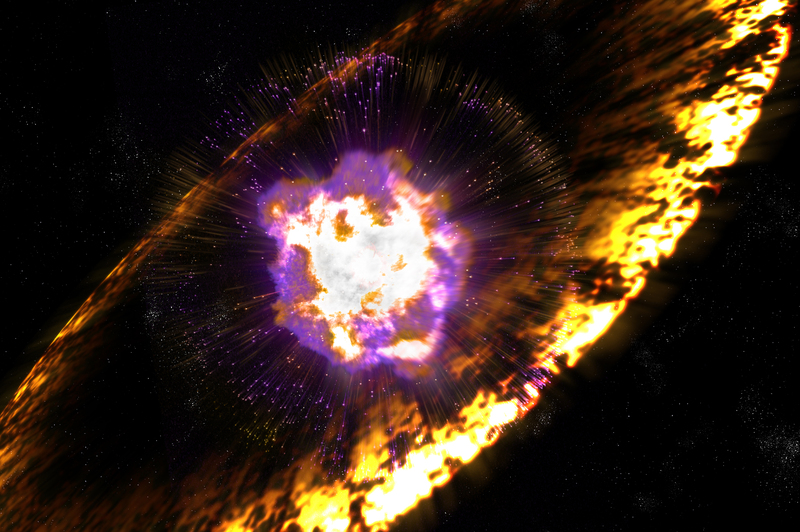 So, welcome to my cosmology blog. Here is where I want to explore the story that is emerging as the people of Earth attempt to integrate the barrage of new information that is making its way into our lives at an ever-more accelerated pace from all directions – from the ocean, the stars, the shifting landscapes of ecosystems and from energies and sources beyond our ken. After hundreds of years of conditioning, it is no mean feat to turn the volume down on this obsessive anthropocentric rationalism to be able to hear what is coming in on the wind, and to trust the deep knowing of our feelings – the hackles on our necks and the butterflies in our stomachs. This is the grand shift – from mentally analyzing the universe and our relationship to it, to simply, and profoundly, falling in love with it.